Derick and Charles claim to have “friends who are in debt.” Wonder who they are talking about? It appears that both “friends” are about $25,000 in debt. The EntreProgrammers go on the attack. 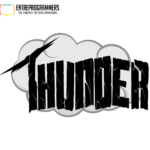 The EntreProgrammers have the solution and give it to you in this episode. John offers the biggest of advice recommending the services of “a loan-shark” at 10% monthly interest. And, if you believe that, there’s this bridge…no wait, there’s a great horse running this weekend, a sure win. What is your total debt and how is it affecting your overall performance as an entrepreneur? 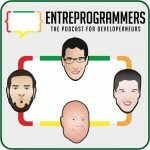 The EntreProgrammers hit this topic relentlessly with Derick caught in the middle of it all. John insists that getting out of debt should be the number 1 priority on the big list of things to do in promoting business growth. Debt constantly works against you. Cut-back on everything that you can and focus all of your income to paying off your debts. Derick claims $25,000 in debt and looks to The EntreProgrammers for an approach to paying it all off. Solutions of genius pour out in this episode for those of us needing debt relief. What is an entrepreneur to do in achieving a debt free lifestyle? Is anyone debt free? 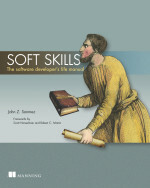 John wrote an entire chapter on debt in his book, titled, Soft Skills: The software developer’s life manual. Click John’s book. Some extremely interesting stats come out in this discussion about who we are in terms of spending; hear what Josh has to say regarding our spending habits in this episode. He suggests that a good person for financial advice is Dave Ramsey, someone he used to listen to. You can check out this financial expert by clicking here. Then Charles jumps in to share his experience with financial budgeting for his family by recommending several ways to cut expenses and that a great way to discover overspending is through youneedabudget. Drop by and take control of your spending. In addition, Charles reprograms Derick’s marketing approach to ensure him more income towards his debt. Charles wants Derick to take his listeners “to the next level.” And Josh tells Derick that he hasn’t “focused enough” on which of his products to promote and sell. A huge recommendation comes out from The EntreProgrammers to invest in yourself. Drop the movies and get a tutorial – grow thyself. John is overwhelmed by the response that he is receiving using GetDrip.com – nothing but praise for Drip. Oh sure, Drip is a sponsor for The EntreProgrammers. What would you expect? Is Drip really any good? Check-out Drip. You’ll be glad you did. Let’s get a discount on “Tweet Adds” shall we? Contact Josh. And don’t forget; book your podcast at Signalleaf.